The basic model in our offer. One-axle dyno, allowing for the measurement of power and torque in the inertial mode. A possibility of further upgrade to the braked version. The dyno is offered in mobile or in pit version. 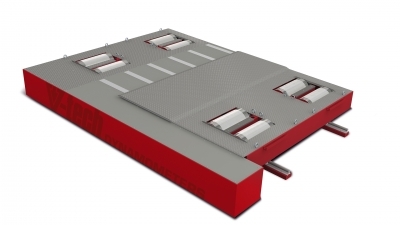 One axle dyno, equipped with the eddy current brake with maximal braking torque 800 Nm. It allows the measurement of power and torque in both inertial and braked modes, measurement of power on wheels in constant rpm mode and road-mode testing of the car. A possibility of further upgrade to the VT-2/B2 version. The dyno is offered in mobile version or in pit version. One axle dyno. It has the same measuring modes as VT-2/B1 but it is equipped with two eddy current brakes with maximum braking torque 1600 Nm - thanks to that we have the possibility of measuring cars up to 1000 HP. The dyno is offered in mobile version or in pit version. The dyno is normally equipped with a mechanical system of axle synchronisation, enabling the measurement of the most modern cars, with an active central differential or with advanced traction control. A possibility of further upgrade to the braked version. The dyno is offered in standalone version or in pit version. 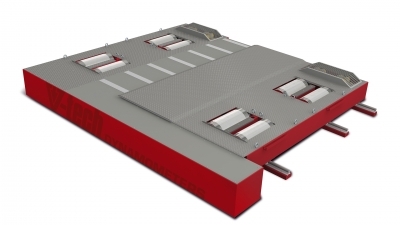 Two axle dyno, equipped with two eddy current brakes with maximal braking torque 1600Nm. It allows the measurement of power and torque in both inertial and braked modes, measurement of power on wheels in constant rpm mode and road-mode testing of the car. The dyno is normally equipped with a mechanical system of axle synchronisation. A possibility of further upgrade to the VT-4/B4 version. 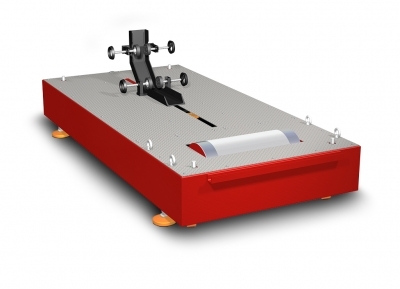 The dyno is offered in standalone version or in pit version. The most advanced dyno in our offer, equipped with two eddy current brakes with total braking torque of 3200 Nm - in this way we have the possibility of measuring cars up to 2000HP. The dyno is normally equipped with a mechanical system of axle synchronisation. 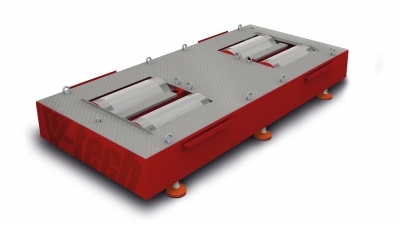 The dyno is offered in standalone version or in pit version. It has the same measurement modes as VT-4/B2. 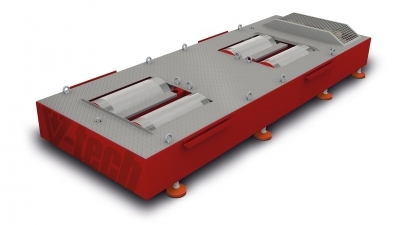 Chassis dyno designed for the measurement of power and torque in motorcycles. Standard version is a mobile model, allowing for the transport of the device. A variable gap of the front wheel mounting ensures the adjustment of the dyno practically for all wheel spaces of a motorcycle. There is a possibility of version allowing also the measurements of quads.